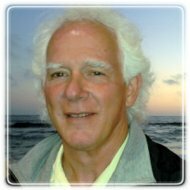 Carson City Therapist: Stephen Nicholas - Therapist 89702. Send A Message To Stephen. Session Fees: $160.00 per session, many insurance plans accepted, & I use a sliding fee scale in some cases. I have worked for most of my career in the helping, management and consulting professions. This includes work with individuals, couples and families. I have also worked with small business, not for profit organizations and real estate investment management. My training includes 21 years with Stephen Gilligan, Ph.D in Generative Trance and Self Relations psycho-therapy; 7 years with Robert Dilts, Suzi Smith, Tim Halbom and others in Neuro Linguistic Programing (NLP). I completed my Master of Social Work (MSW) at the University of Nevada, Reno in May of 2007, and have been in private practice at Carson Professional Group in Carson City Nevada since that time. I have developed a number of therapies including, Relational Drawing and variants beginning in 2008. Multi Dimensional Intervention (MDI) in 1993, the Picture Book Process in 2003, . Many thanks and deep gratitude to my many teachers and mentors. These include Stephen Gilligan, Ph.D, Robert Dilts and his colleagues, (Suzi Smith, Tim Halbom, Todd Epstein, Judy Delozier and others), and Hugh Young Sensei, my primary Aikido teacher. My father, an Episcopal minister and later marriage and family counselor and my mother's life's work in early childhood education, whose skill with children. They are both fundamental to my approach. I am the father of one wonderful and talented daughter, now creating her tremendous life working in the environmental and sustainable energy solutions. I love my work, to run the trails here, dancing, drawing and enjoy life here with my wife and colleague, Linda in the beautiful Sierra Nevada foothills.